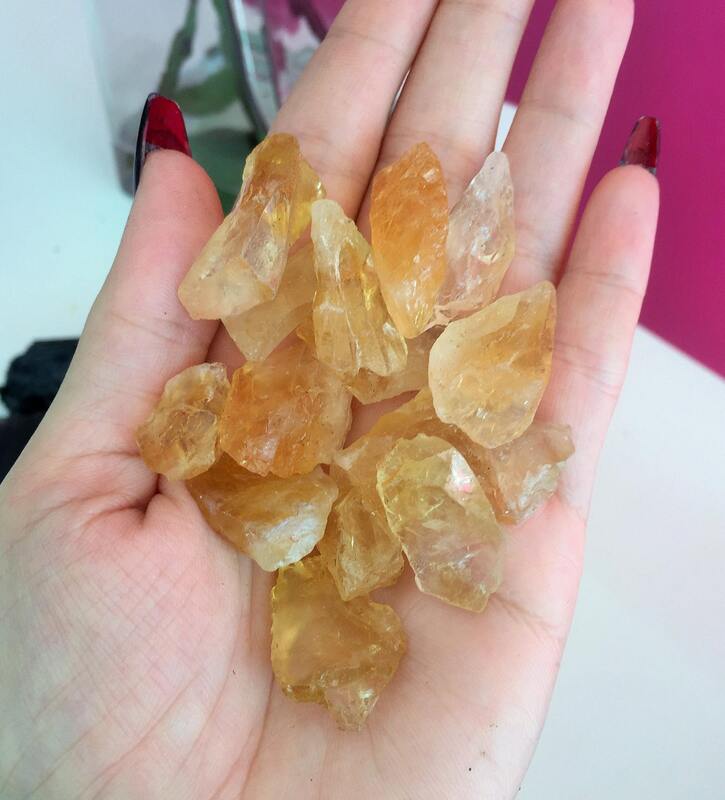 Receive 10 High Quality CITRINE RAW Stone crystals. These are high quality, translucent, champagne to light smoky golden stones that are far beyond most tumbled Citrine. SIZE: 1' - 1.5" inches long. 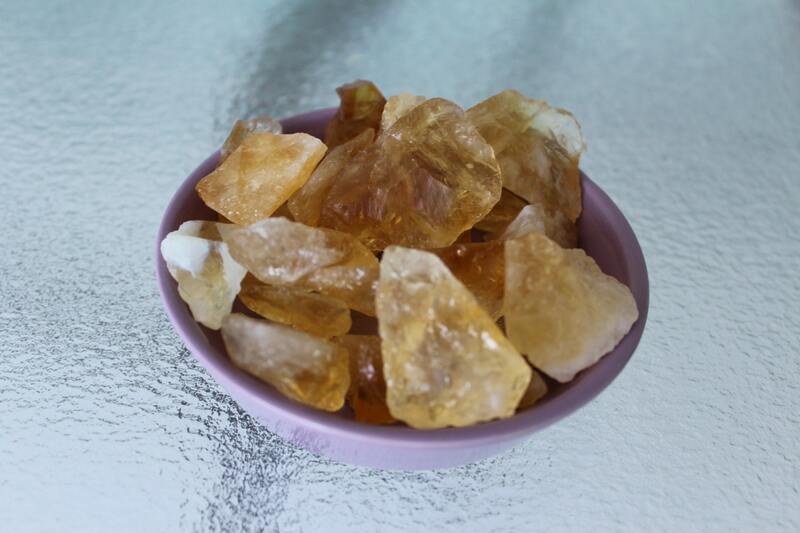 This is an incredible and RARE, custom tumbled mix of sparkling Citrine crystals from Brazil. It is markedly different and more expensive than the regular Citrine Quartz sold because it has not been heat treated to create the color. But don't let their glass like quality fool you, these are the real thing. Pure Citrine gemstone that is ideal for making jewelry, medicine bags, quality artwork and other gem related projects. When you feel these stones in your hand, you get the impression of liquid golden honey flowing through your fingers. They are so beautiful, filled with light and abundance! You can sense the prosperity energy right away. You'll receive 10 raw stones. Items are as described. Packed in a lovely sparkly chiffon like fabric bag. Shipped quickly. I have enough to place in various places with enough left over to gift special friends! Thank you! Beautiful pieces, just what I needed for my crystal grid work. Thank you! Gorgeous crystals. I appreciate your speedy shipment and put them to use straight away in my wall altars. They look stunning. Good quality of crystals and fast shipping.